Devs will get to move the apps between the two with greater ease. 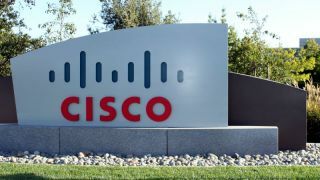 Cisco and Amazon Web Services have announced a partnership that will result in a product helping developers build apps in the cloud, or in traditional data centres. The product will also make it easier for devs to move the apps between the two. Reuters is saying this is a part of a larger push that would see Cisco transform from a hardware company building networking gear, to one that also has software to offer. The transformation was first kicked off when Chief Executive Chuck Robbins took helm and realised that its core business wasn't bringing in enough greens. Cisco's new tools will allow businesses to move their software apps between their own data centres, and Amazon's AWS ones. The company said these tools will be of great service for organisations that don't have any Cisco hardware in their data centres. “The way we like to think about it at Cisco is, we’re growing and adding a software business to a very important hardware business,” Kip Compton, Cisco’s senior vice president of cloud platform said in an interview. Reuters also said this is not Cisco's first deal of this sorts. Last year, a similar deal was struck with Google.